Copyright © 2019 All Rights Reserved. 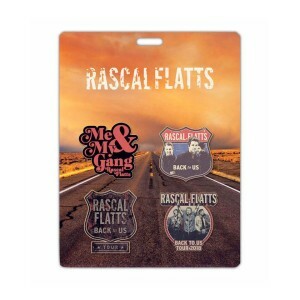 Musictoday II, LLC, is the seller of all Rascal Flatts Merch merchandise and is solely responsible for all aspects of your purchase. 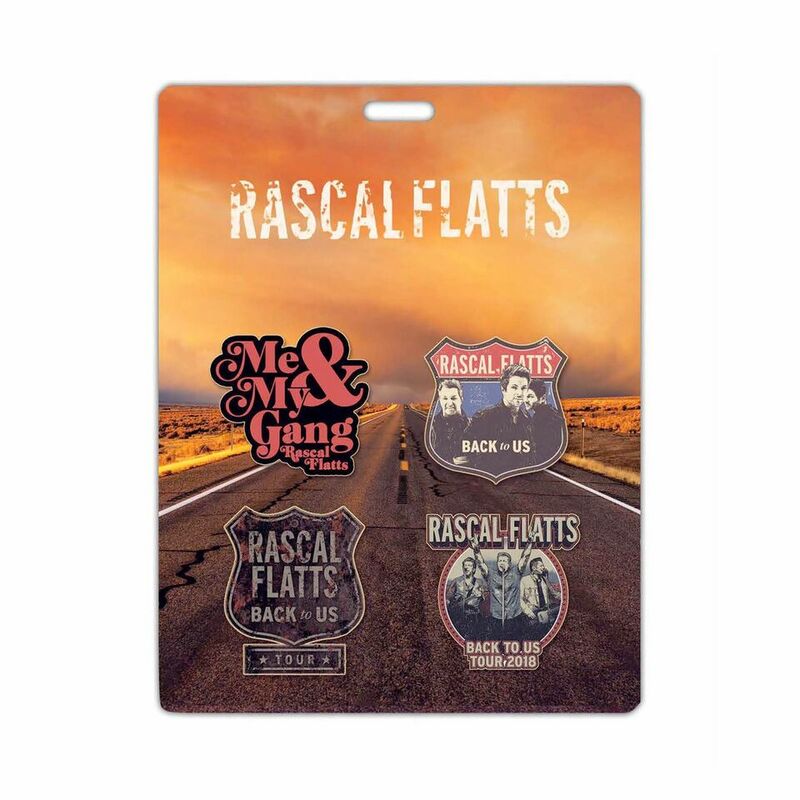 4 piece enamel pin set with card backing depicting RF lyrics, logos and photos from the Back to Us tour.